Garuda is a humanoid bird with a beak of an eagle. Garuda is vahana of Lord Vishnu. 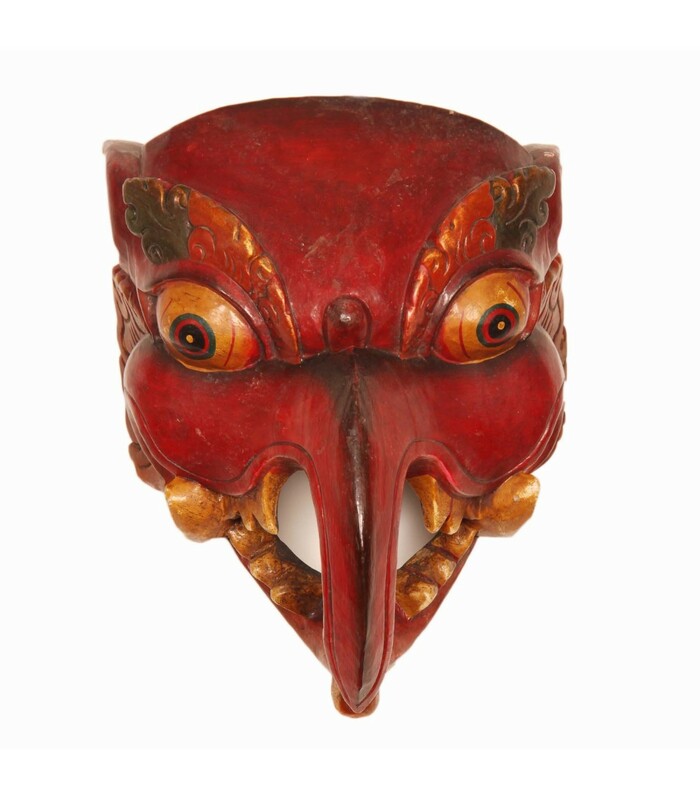 Worshiped by Hindus and Buddhist, Garuda is believed to be strongest bird of all. 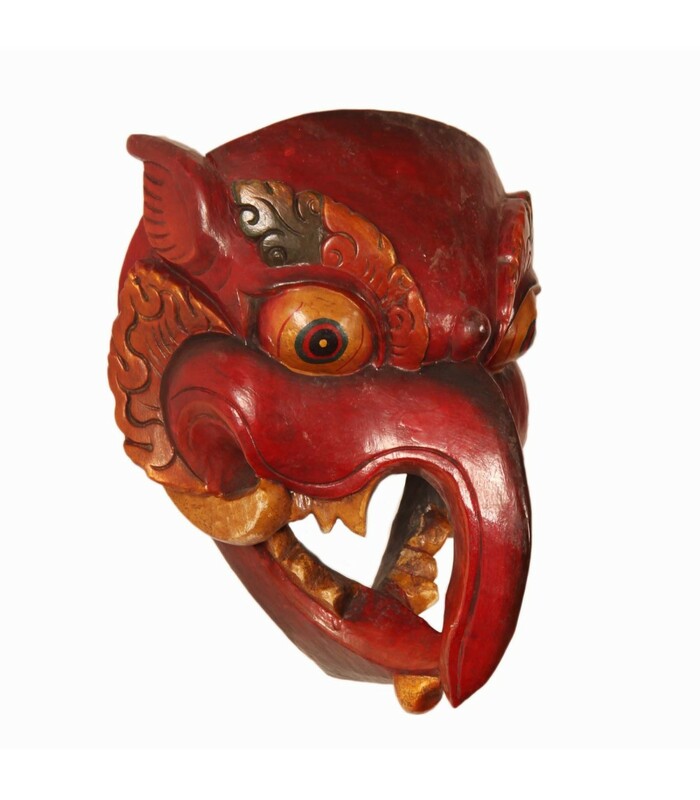 This fierce looking Garuda mask is hand crafted in wood by skilled local craftsmen of Nepal.